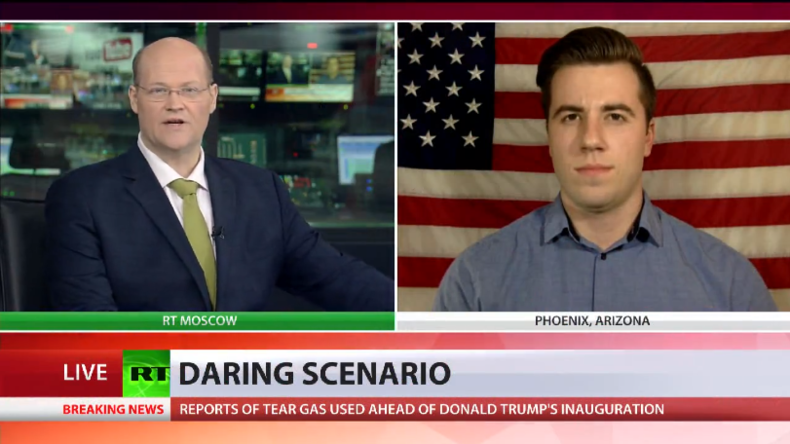 After CNN broadcast a segment about what might happen if a “disaster” wiped out everyone at the inauguration of President Donald Trump, RT discussed with experts the motives and moral responsibility of journalists behind this story. Donald Trump will be installed as President of the United States today. 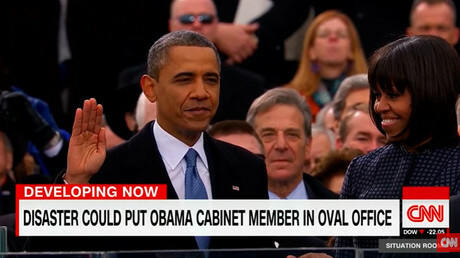 As the media has been discussing the matter, CNN has come up with a rather unexpected scenario for Trump's first day in office. They have been looking at what would happen should disaster strike during Trump's inauguration along the lines of the plot of the Designated Survivor political drama television series. “Basically, what we saw was CNN devoted an entire segment to their Trump assassination fantasies. They are outlining exactly what will need to happen in order for an Obama appointee to become the next president showing gross insensitivity over who will need to die, in what order. This is sick stuff and this is not normal,” he continued. “Imagine if Fox News ran a similar segment in 2008 about which Obama incoming official needed to die in order for George W.Bush to retain power. It is crazy,” Nolt told RT. “Do you have any idea of how many nutcases we have walking around here, people who have absolutely nothing to live for, people who have been riled into the sense of absolute truth over this president-elect who has been called by some illegitimate…And you have this show or you are basically providing a prescription. 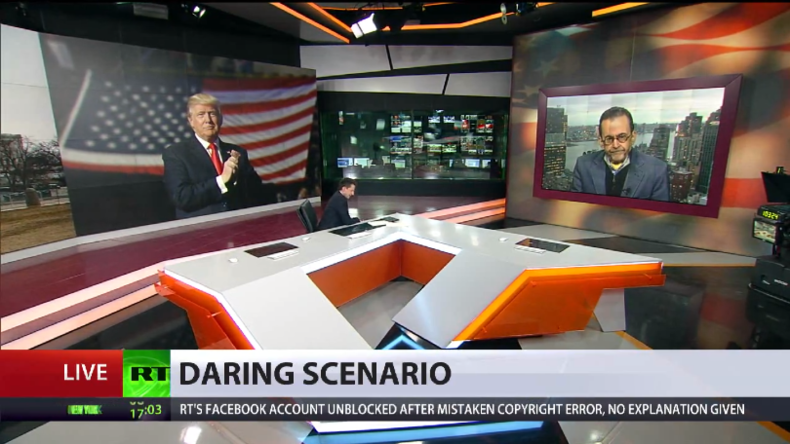 You basically tacitly saying: “You know this is what would happen if, God forbid, somebody were to off the president and the vice-president…if it would happen, it would be pretty much just the way it was before,” Lionel added. “Do you know how little it takes to get some attention-starved lone wolf, some demented, psychopathic homicidal lunatic to empower and to propel them to take one for the team maybe. This is just inconceivable,” he told RT. 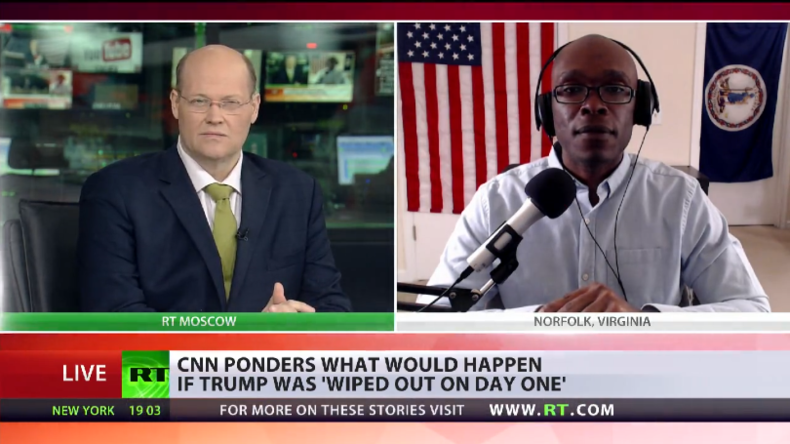 “There has been a lot of anger and resistance from the leftist mainstream media against Donald Trump. And then recently, let’s not forget how we had a reporter from CNN have a little conflict with Donald Trump during a press conference which made news. It kind delegitimized CNN as a network. So, this could be a personal vendetta beyond politics,” Logan told RT. 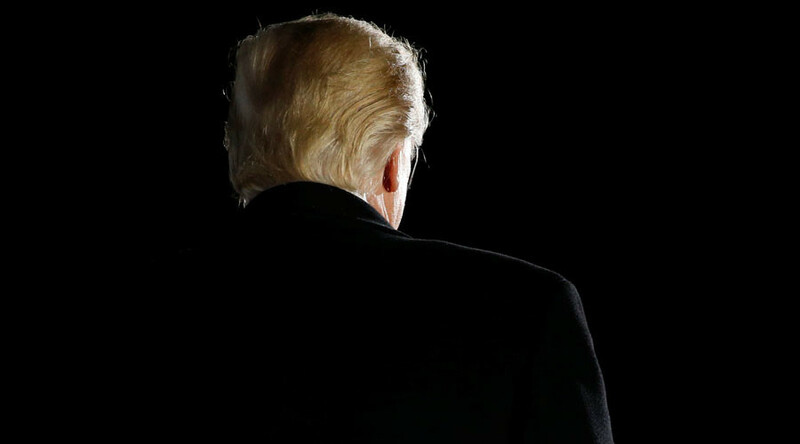 “During the last five inaugurations, right before the inauguration when there have been large-scale protests planned, the secret service and the media usually come up with some sensational story about the possibility of harm being done to the incoming president: that happened certainly during George W.Bush’s administration and happened again during the time that President Obama took office. I don’t think it is really highly significant. I think in fact it is the state powers and the mainstream media are creating an atmosphere of fear inside Washington DC at a time when thousands of people are coming to Washington DC to protest the domestic policies of the Trump administration,”Brian Becker, National Coordinator of the ANSWER coalition told RT.